INDIANAPOLIS — The National FFA Organization has awarded a $1,000 Fastline Publications scholarship to Bradley Coppinger of Cannon County High School, Woodbury, FFA. Fastline Publications, as a special project of the National FFA Foundation, sponsors the scholarship. 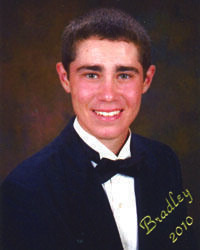 Bradley plans to use the funds to pursue a degree at MIddle Tennessee State University. The scholarship is one of 1,446 awarded through the National FFA Scholarship Program this year. Currently, 132 corporate sponsors generously contribute over $1.9 million to support this program. This is the 26th year that scholarships have been made available through the National FFA Foundation by business and industry sponsors to reward and encourage excellence and enable students to pursue their educational goals. Scholarship recipients were selected from 8,305 applicants from across the country. Selections were based on the applicant's academic record, FFA and other community activities, supervised agricultural experience program in agricultural education and future goals.